Gray color has many variations: from the stylish light to a pronounced steel shade. To become the owner of ash hair, you need to perform a permanent coloring. Beautiful and treacherous shade – "light ash blonde"
Hair dye, oxidizer, gloves, clamps, hair clips, brush for painting, water. There is a misconception that to dye my hair ashy color can only be blonde. In fact, natural light brown and even dark brown hair respond well to the ash color. More cautious should be those who have already dyed hair in red or brown color. Instead ash can get green or purple. So brunettes and brown are recommended when painting on ash to do a wash and hair from the previous color. To give hair an ashy hue get a special permanent paint. Prepare the dye as recommended in the instructions. Now armed with a brush for painting and distribute the pigment evenly over the entire length of hair. Start staining from the top, separating strand by strand. Then go to the back and further down. Follow the staining of the lateral strands. Temporal, frontal strands and bangs in the paint last. Soak the dye on hair for the prescribed time, rinse and shampoo your hair. After that apply conditioner. Note that the staining is bad for the condition of the hair: they become dull and lifeless. So for a month before staining spend intensive therapy: do different moisturizing mask for hair and use the healing balm. So, hair will be prepared for painting. Some time after coloring gray color can give a yellowish tint. To prevent this, use a toning shampoo for grey hair. Toners also help to eliminate green shade obtained after dyeing. Often one rendering procedure will not solve the problem. However, the course of treatment with a toning shampoo will permanently remove the yellowing and other undesirable color. The first time it is recommended to perform staining in gray color with a specialist to learn all the details of the procedure. Professionals recommend to perform hair lamination after painting them in gray color. This procedure will allow you to maintain a beautiful shade for a long time: up to three months or more. If you have dark hair, it is recommended to make a clarification. Apply a lightening product on hair on all length, but the roots have not yet touch. Keep the bleach for half an hour, and after that apply it on your roots and comb through hair with comb from roots to ends. After 20 minutes wash the hair with shampoo. Do lightening just for dirty hair. About a month after coloring the hair roots is already noticeably growing back. Then it becomes a visible difference between the shades. Repeat the staining procedure. But this time you want to paint only the roots. Use paint the same color and please note that now you need to dye natural hair. Therefore, the tone can still vary, if you did the dyeing of the bleached hair. In this situation, you need to repeat the procedure of clarification. And then to paint the roots in a light tone. Because of the constant chemical exposure gray hair requires special care. Be sure to use a vitamin mask to nourish hair, wash your hair only with soft water and rinse with extracts of useful plants. 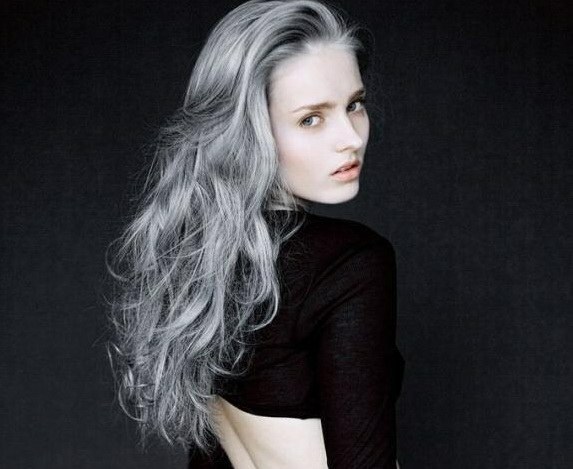 Paint with an ashy shade that perfectly fits to your grey hair or very light by nature. It is not necessary to paint hair in ash color for those who have dark skin and Eastern appearance. Light hair is very easy to repaint in any shade. Much more difficult is the case with the dark hair. But if you have black or dark brown hair, staining is a problem. Because the black color can not immediately repaint in a lighter tone. This requires a preliminary clarification. The paint you are going to dye your hair after bleaching; bleach, in most cases, white henna, but you can take hydrogen peroxide; plastic or glass container to prepare the lightening mixture and paint; anything not metal, than you can stir the mixture; gloves; a plastic cap on the head. Prepare lightening mixture. This white henna powder mixed with hot water to obtain a homogeneous mixture. Then wash the head. Wrap hair in a towel after putting on the hair with a plastic cap. Wait until the hair will lighten. Follow the change of shade of hair. If you feel a burning sensation on the scalp, immediately rinse the lightening mixture. In this case, the painting should be postponed until better times. If lightening went well, rinse the henna with plenty of water. If hair is poorly rinsed, and they will be henna, then you will have a feeling of sand in her hair. Dry hair. Instructions prepare a paint of the desired shade. Apply the paint onto dry hair evenly over the entire length. Repeat the procedure with the wrap head in a towel. When the time should get the desired shade, rinse the paint with plenty of water and dry hair. In any case, for any coloring or bleaching, do not use metal utensils. 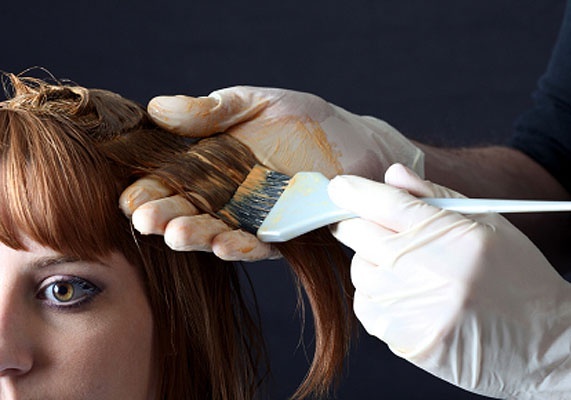 The metal can react with chemicals in the dyes, and this can lead to staining of hair in an unexpected color. The result will be much better if the lightening carried out in several stages with a break of a few days. But if you don't have time for this, it is possible to do everything at once. Natural ash blonde hair color is quite rare, and the desired effect can be achieved only as a result of staining. To hair coloring in ash brown color has allowed to achieve a required result and not brought disappointment, you need to choose the right paint and apply it in accordance with the instructions. Thinking how to dye your hair a light ash blonde shade, first choose the correct paint, given the natural color of your hair and hints that you have previously dyed hair, as the mixture of pigments, the new paint with the remnants of the previous coloring pigment can lead to quite unexpected results. Going to the store for paint ashen, give preference to products Koleston Perfect, which, depending on their species help to give the hair a light ashy shade or to paint them in dark ash tone. Future hair coloring in ash brown color comes from the natural color of your locks, so when painting be sure to note the following points. First, if your hair is light by nature, immediately apply on their pigment composition, slowly covering the whole head, starting in the paint with the hair roots. After applying the coloring composition will leave it on the hair as much as written in the instructions for the paint and then rinse thoroughly. Remember that the saturation of the ash-blonde color does not depend on consistency of paint, so even gels and special coloring shampoos should not be overexposed – it will cause significant damage to the health of your hair. Secondly, the owners of dark curls, wishing from dying to a mysterious ash blonde hair color, associated with the image of the Snow Queen, you have to first prepare the hair for coloring, and the coloring procedure in a given situation will take place in several stages. First lighten your hair two to three shades, using sold in specialty cosmetic stores illuminators, trying to get rid of yellow or reddish hue. After clarification, give the hair a few days to "rest" and then apply on them a coloring composition, giving the ash-blonde shade. To paint the hair don't to yellowish or even greenish tint, experts recommend to add in hair dye blue pigment, but the desired effect when you experiment with paints can only be achieved in salon. After staining in the ash-blonde color keep shade created with a special toning shampoo, otherwise it will quickly be washed away. For future applications in the same tone already not coat the coloring composition of the whole head, better to apply the bleach, and then dye only the roots. Many women love to experiment with hair color. If the nature of the hair light, the painting usually there are no problems: the paint falls evenly, and the shade not much different from what is on the package. Dark-haired people have more complicated, especially if you want to paint in a light tone. There are two ways to dye dark hair to light color. The first of them allows to achieve the desired result fairly quickly, but it is dangerous to the health of the hair. Its essence lies in the fact that the hair must be pre lightened. This is most often used hydrogen peroxide. When using it you have to be very careful, because you can just burn the hair. There are also special brighteners. Their composition also includes a peroxide, but they are a bit softer. By such means you will be able to remove the natural hair pigment, which gives them a darker shade. Remember that sometimes you have to spend not one but two or even three treatments, because for once you can clear no more than four tones. Then the hair can be dyed light color. More secure but a long way – a gradual lightening. In order to achieve the desired result each time you just need to choose the paint one or two shades lighter than the previous one. Remember that dyeing hair can not more often than once in three weeks, otherwise you will damage them. You should also choose paint from the same palette, and the desired color. Be prepared for the fact that after the first and possibly the second painting, you find that the color has not changed. In fact, the hair still acquire a lighter shade. Be patient: in order to achieve the desired result, you may need three to four months. If you are not very good at paint hair or not sure that will be able to choose the right tools, play it safe and ask for help to the experienced technician in a hair salon. Funds available there, far better than those you can buy in the store. Besides, the expert knows how to paint dark hair in a light color. To change something in my own image – a favorite pastime of many women. In particular, this applies to changing hair color. But if you change the hue of the curls just a tone or two not so hard that the brunette be, for example, lightbrown, will have to spend some sessions of painting in the salon. If the hair is not dyed and their hue from light brown to dark brown, then slightly lighten the strands, you can use folk remedies. For example, add to conditioner or shampoo, lemon juice or chamomile. Quick and wonderful lightening effect can be obtained by combining the use of lemon juice and sunlight. Squeeze three lemons juice and add a little water (ratio 3 to 1). Apply on hair the mixture and take some time in the sun. The curls in this way you can lighten a couple of shades, but to say exactly what the result will be obtained, it is impossible, because it is necessary to take into account the natural color of the strands, and features of the hair. If you have the hair color is natural, not too dark, once is enough to discolor the hair, and then painted them with tint paint ashen shades. Will look best ash-blonde, light brown or regular ash. Owners of weak and brittle hair it is better not to begin your journey to blonde hair through bleaching. For starters, make the usual weave dark strands, and then paint the selected color. This method is more gentle, and the result is exactly like you, because due to the fact that lighten hair will be different on a dark and streaked tresses, the hair color will be more interesting and rich, with a striking iridescence. If your hair was not just painted, to make them light brown unlikely to succeed on their own. After staining you will get different shades on the hair roots and on the painted strands. So you should go to salon and spend a wash previous coloring tools. Only after it can be painted in light brown. In addition, the wizard by miksovaniya different shades usually get the color, which is not in the standard palette of colors. 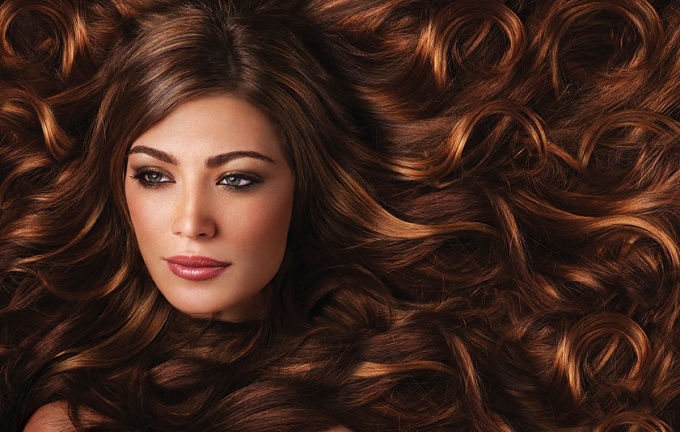 If you have received the desired light brown shade, in between coloring, wash the hair toning shampoo. Also, rinse hair after washing decoction of chamomile – it will not only strengthen the roots of the hair, but will also contribute to natural lighting. A radical change of color hair care. Hurry, you can obtain an unexpected effect – ugly tint, uneven color, dull, lifeless strands. But if to choose the right paint and change the tint to the hair gradually, you will achieve impressive results – for example, turning your brown curls in light brown. shampoo and conditioner for colored hair. The traditional method of colouring dark hair in a light tone implies their pre-bleaching. Treat strands with a special clarifier. Apply it on your hair, strictly following the directions on the bottle. Do not overdo the remedy on his head. Remember – the clarifier is fairly aggressive. The following stage – colouring. Buy a high quality product with firm but gentle formula. Apply it on your hair, wearing thin rubber gloves. Last, apply the paint to the roots – so you will achieve a more uniform color. The time for which we apply the remedy indicated on the packaging. To withstand the prescribed time, rinse off the paint under warm running water. If you wish, you can additionally toned colored hair. Choose any shade of blonde colors. It depends on the color of the skin. Experts suggest coloring more than choose cool colors – they look more natural. Using in the home shades of warm colors, you can get an ugly reddish glow on the hair. Using professional dye to change the color from dark to light, bypassing the stage of preliminary bleaching. Have patience – the right shade it does not always work the first time. First, color the hair a beige blonde tone. After two weeks, repeat the procedure, using dye light blonde or ash brown. Bleached tresses require special care. Change care – choose shampoos and conditioners designed specifically for coloured hair. Do not wash your hair too often – bleached strands become more dry, besides water and shampoo them gradually eluted from the pigment. Instead of industrial mouthwashes try folk remedies, for example, infusion of flowers of sunflower. Pour 2 tablespoons of raw materials one and a half cups of boiling water, wait 2 hours and strain the infusion. He has a light brown color and makes the yarn more soft and shiny. Every shade of hair is beautiful in its own way and gives its wearer a unique charm. Blonde curls are different natural look and blend perfectly with the image of the average women in the European latitudes. The above color relates to the bright chestnut tones. It emphasizes natural beauty and impressive looks great with both straight strands and curly. Brown hair are most types of externalities. They look unobtrusive, rather, shading the overall visual appearance, what caught my eye with its brightness. However, dark-skinned girls should be wary of this color - it can blend in with the skin instead of beneficial to emphasize the dignity of the sun. Brown hair look great when they are healthy and shiny. However, dry and damaged locks this color will make it even more dull and inconspicuous. Remember that natural blonde hair, usually are thin and tend to change the natural colour under the influence of various factors. So you should approach the issue of painting with special attention. Despite the fact that some tend to think of dark blonde shades are boring, well think whether you are ready to radically change. To restore the original view will not be easy, because this color is the Golden middle between the image of the delicate blonde and brown-haired women fatal. Better to stay on the options, slightly modified natural appearance. For this purpose, suitable coloring shampoos and various unstable paint, will not penetrate the scalp enough to ruin it. Before you decide on the way, pay attention not only on hair but also on your type of appearance. Auburn and reddish shades, which can be achieved by application of a decoction of chamomile and henna, highlighted the emerald eyes and olive skin. Deeper chestnut colour arising after use of the tincture of bark and lime leaves, looks with cold blue eyes and aristocratic pallor. In General, you are free to choose any combination of shades, if you are going to excessively move away from natural tones. If you decide to change a lot, you should see a specialist - if not staining brown hair is able to give such unexpected surprises as a kind of swamp, purple and yellow tones. Although hair apparently does not seem to be too dark, for their clarification will be required on the basis of hydrogen peroxide, which can alter their natural look, making it more dull. Repainted in the brunette or the redhead is quite simple, similar tone fit well for brown shades, but eats into the hair structure. Painted blonde curls prone to breakage, will not damage regenerating mask with the content of honey, yogurt, rye bread, eggs, and oils such as coconut, sea buckthorn, hemp and olive. Many ladies know that dye your hair a dark color is not difficult. And yet there are nuances that cannot be overlooked, especially if colouring is not the first time. All the colors are divided into three groups, called schemes: chestnut, blonde and black. Each gamma has three categories - dark, light and medium. Intending to dye your hair a dark color, start with light colors in the palette black. If the result is not satisfied, to dye your hair a darker color will be easier than to lighten too dark hair. It is believed that dyeing the hair is repeated a minimum of three weeks. Otherwise, there will be a too high concentration of chemicals on hair: they begin to break and split. Only qualified hairdresser able to determine what kind of load can withstand the hair. Note that the palette of colors that you show in the store is created on artificial and initially white strands. So the tone can only partially recall the result on your hair. Keep in mind that very dark color is suitable only for those girls, face them with a blush. You must make every effort to choose the right shade. Therefore, the choice of paint explore the entire palette. And be sure to listen to the advice of a hairdresser with respect to the desired shade. Please note that black color is very insidious and it ages women. Therefore, it is better not to choose those who are already over thirty. Before you start to paint, try the paint on the hair strands, as well as on the area of skin behind the ear to make sure that you have no allergic reactions. Wash your hair a day before the dyeing: of released natural oils to serve as natural protection. Starting to paint the hair a dark color, move from the head to the temples. Divide the hair into strands: it will be much easier. To avoid not, zones, start the procedure of applying the paint from the roots. After dyeing, carefully comb the hair so the result will be more uniform and successful. Keep the paint on the hair is not longer than the time specified in the instructions. After all dark hair dyes very quickly, so there is always a risk to overdo the coloring part and mess up the hair. So, wash your hair and be sure to use healing balms and conditioners for colored hair. It will remain shiny for a very long time. If your hair is dried in the sun or burnt due to perming, before painting be sure to make the cut. Damaged hair absorbs the paint and even more injured. Immediately after a Perm to dye your hair is not worth it. You need to wait at least a week. Or when painting to keep permanent paint half the amount of time recommended in the instructions. If you do not want to expose hair effects dyes with oxidising agents, use home remedies for hair coloring in dark color. To do this, take a decoction of the leaves of walnut and oak, wet their hair, keep for 15 minutes and then rinse. A tool such as rosemary, the conditioner for hair, makes the color deeper. How to cook it? Brew one tea bag of black tea and add two tablespoons of rosemary leaves. Then strain and massage into hair and wash off after 10 minutes. To give hair the shade of chocolate, use a mask of egg yolk and two tablespoons of castor oil. Carefully RUB this mixture into the hair, soak 30 minutes and rinse. This will not only make the hair darker, but also give them extra food. Black tea will also help to make hair dark, soak the hair strong brewed tea and rinse off after 30 minutes. For dark color hair, use coffee: brew it, apply on hair and wash off after an hour. Keep in mind that using natural dye to change hair color quite difficult. Rather, it helps to revive hair and make them healthier. Well-groomed and beautiful hair is a woman's dignity. Change of hair, repainting the hair in different shades gives a woman the opportunity to look Flirty, feminine, severe. But to dye your hair is quite difficult. In the case of non-compliance with certain rules, it can result in hair with the most unexpected shade. In addition to the unexpected hair colors, non-compliance may lead to disruption of the structure of the hair. Because of this, the hair can become brittle and split. And can begin even hair loss. To avoid this, hair should start with learning the rules. Repaint black hair in a different hue — the most complicated dyeing process, even for professionals. Oddly enough, even red shades are easier to stain than black. So immediately you need to prepare yourself for the fact that the process will be difficult and long. The first way to repaint the black hair is to contact an experienced colorist. For 1-3 months it will lighten your hair each time for a few tones, while the color will not be suitable for repainting to the desired shade. You can make coloring or bleaching hair with the subsequent staining of these strands. Then the transition from black hair will be soft and gradual. 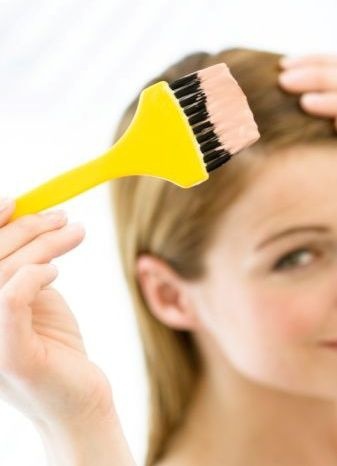 At home you can gradually paint the roots of the hair as regrowth. But this process will be very long. But gentle hair. Blonde hair recolor easier. After all, they have no need to lighten. But do not forget about the useful nuances. Hair can be painted in one tone, and make the weave or coloring in order to give structure to the hair. Red shades for any repainting, in addition to black, leaving the pigment on the hair. And if not pre-lighten the hair or not to do a wash, the final color will be with the presence of a rusty color. Remover is a gentle option bleaching dyed hair. Keep it to a certain instruction time, and apply evenly. Therefore, to carry out a wash with the best assistant. Otherwise, you can stay spotted. Don't be alarmed if after washing the hair will become acid red or yellow color. The process should repeat as long as the shade will not be smooth and quiet. Only by achieving such a result can be directly coloring your hair.